While the CW just released the first clip from this week’s new episode “Corto Maltese,” another clip was actually shown earlier today, featuring Felicity and Ray Palmer. 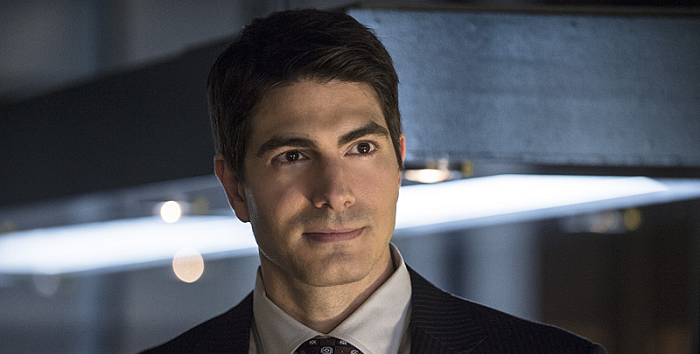 Brandon Routh was a guest on the KTLA morning news, which is the Los Angeles station for The CW, and during his interview they premiered a new clip that shows Felicity laying some ground rules with Ray Palmer now that she’s working for him. You can check out the clip in the video below, which starts at the 2:38 mark. “Corto Maltese” airs this Wednesday, October 22nd, and looks to feature more great interactions with Felicity and Ray Palmer!